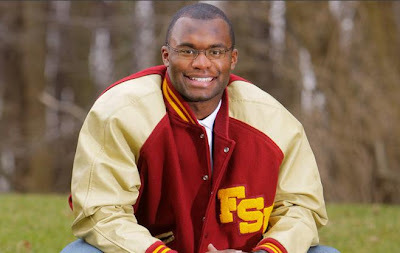 All-American college football player and Rhodes Scholar Myron Rolle recently was asked by Secretary of the Interior Ken Salazar and Assistant Secretary-Indian Affairs Larry Echo Hawk to expand a program he developed as part of the Myron Rolle Foundation. The 'Our Way to Health Program', initially developed with the Seminole Tribe for American Indian fifth-graders at a charter school in Okeechobee, Florida, aims to encourage and help American Indian children in middle school to manage their own diet and exercise, as well as inspire others around them to do the same. The program provides incentive-based learning experiences, team-building physical activities in the outdoors, health education and diabetes awareness sessions. An All-American safety for Florida State University in 2008-2009, Rolle delayed a professional career to pursue studies in medical anthropology as a Rhodes Scholar at Oxford.